On this day celebrating American independence, we want to share something special sent to us from soldiers defending us overseas. 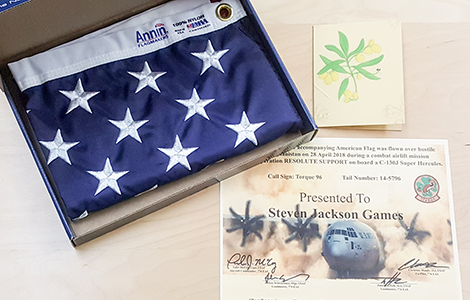 We're honored to receive this combat-flown flag. It will be treasured at the office. Happy 4th of July; enjoy a game with your friends and family!